But this week it’s been a lot easier. Every day that I’ve powered on my laptop to write, I’ve had an idea of the next sentence. The words have been flowing now better than they have in years. That is because the book I'm writing is Untitled Perveen Mistry, the third book in a series. Having been in print for more than a couple decades, I’m starting to draw some conclusions. Don’t hire me to teach any writing courses yet, but I'll tell you that the third book is the magical point when a writer finally gets comfortable writing a series. Okay, I'll admit the first book is usually the most exciting part of writing a series. Book One is totally novel. A first book lays out the protagonist's backstory and introduces me to her family, lover, friends, career, and the world where it all takes place. My very first Book One was published in 1997 and had the typical lifestyle for such a creature. I wrote it over the course of four years of suffering and was thrilled beyond my imagination when The Salaryman's Wife was accepted by HarperCollins. I will take off my hat to everyone who has finished writing a first novel, whether or not it made it to print. behavior changes to push myself to be someone stronger and capable of writing Book Two. I changed my diet to avoid meat (it lasted two years). I ran daily around the Hopkins track. I went on research trips, not just to Japan but to a Buddhist monastery in update New York. I was thirty-three, childless and without the curse of a day job. I had no real pressures in life outside of the book ... yet I stared at my desktop day after day and wondered if I really could write more than one book. Rei Shimura’s Book Three, The Flower Master, was—ha, another story! I don’t remember much about the process, except I began the book in India when I was staying there due to delays with my daughter's adoption. I did not have so much as a laptop with me, so to work on Book Three I had to go to my grandfather's office where there was an old desktop with viruses galore where I could ply my trade. I had a lot on my mind—but I still was able to proceed at a reasonable pace with this book. Frankly, it was kind of mental retreat. I have enjoyed writing the Rei series, but as time passed, I wanted to try something new. I had spent all that time in India--and I wanted to go back. 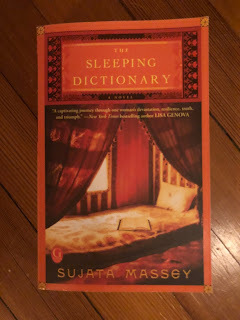 In 2006 I began writing a long historical suspense novel titled The Sleeping Dictionary. That first-book process lasted more than four years, and the book was hard to sell. By the time it came out as a Simon&Schuster paperback in 2013, I felt all the work I'd done made it a natural opener for a new series. 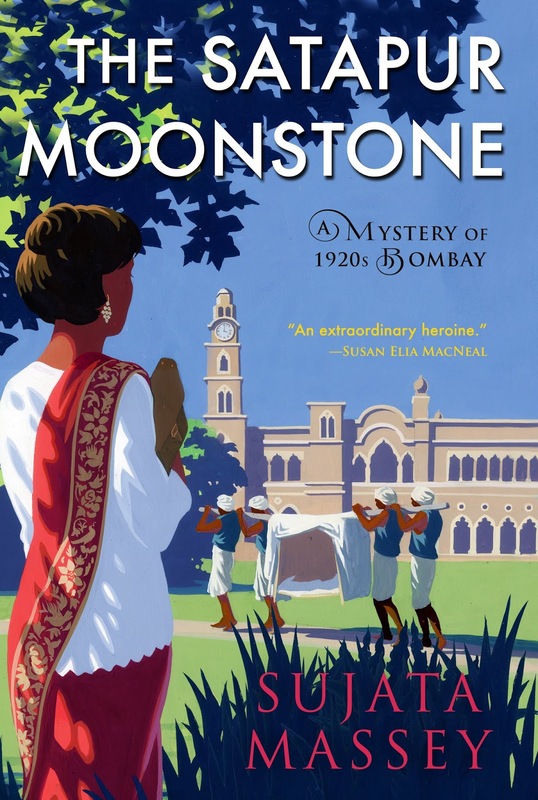 I figured that Book Two would occur several years later, when the daughter of the protagonist in Book One could grow up to be a moody teenager caught up in the horrific violence after India’s partition. 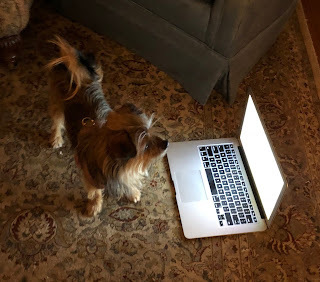 I knew my characters well and felt the plot was sound, but as I worked on this book, showing my agent revision after revision, I never got farther in than a few chapters. This "book of my heart", first in a series that might never be. I'm working on my third series now. It's about Perveen Mistry, Bombay's first woman lawyer working in the 1920s. 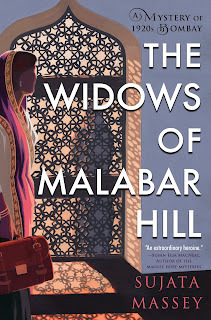 I’ll admit that while The Widows of Malabar Hill (Book One) was very exciting to work on, Book Two was a pain to write. This time I could partially blame my struggles on a health issue. Lyme Disease was diagnosed after nine months and I bucked up with medicine, acupuncture, and Ayurvedic herbs. Heck, I got so excited about Ayurvedic herbs I worked them into Book 2 (because it’s set in the mountains of India, it’s not such a stretch). 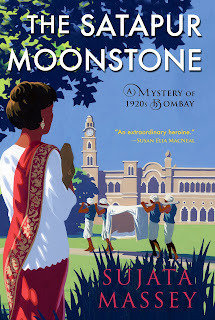 And this Book Two, The Satapur Moonstone, had a deadline. I turned it in a month late, it still needed serious revision, but I'd done it! I've come to understand that only when I slay the dragon that is called Book Two can I get to the love affair with Book Three. And while it won’t be a romance that makes writing every series book feel like fun, it feels like being on honeymoon this week. Upcoming events: I'll chat writing with fellow author William Kent Krueger on Saturday, Oct. 13 at 11 a.m. at the Morristown, NJ Book Festival. I will also appear on an author panel on Wednesday Oct 25, 7-9p.m. at Towne Books in Collegeville, PA. Finally, I'll discuss The Widows of Malabar Hill at a holiday signing party with many Maryland mystery authors 1-3 p.m. Saturday, Nov. 3 at the Miller Library in Ellicott City, MD. 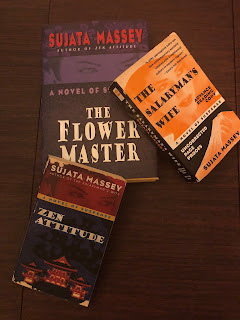 My oh my, Sujata, you've been fighting the good fight on a multitude of levels! God bless Ayurvedic herbs and can't wait for "The Satapur Moonstone." Sujata, I love all your "children," but as I have told you, The Sleeping Dictionary has a very special place in my heart. How I would love for you to take us back to where it left off. In the meanwhile, I am delighted that you are keeping us VERY well supplied with your stories.